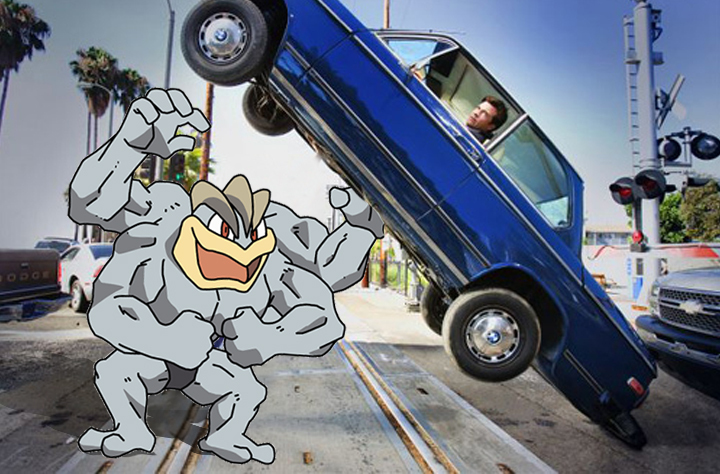 Last week we gave you our list of the Top 5 Worst Pokemon to take a road trip with. In it, we described some of the worst road trip situations imaginable. 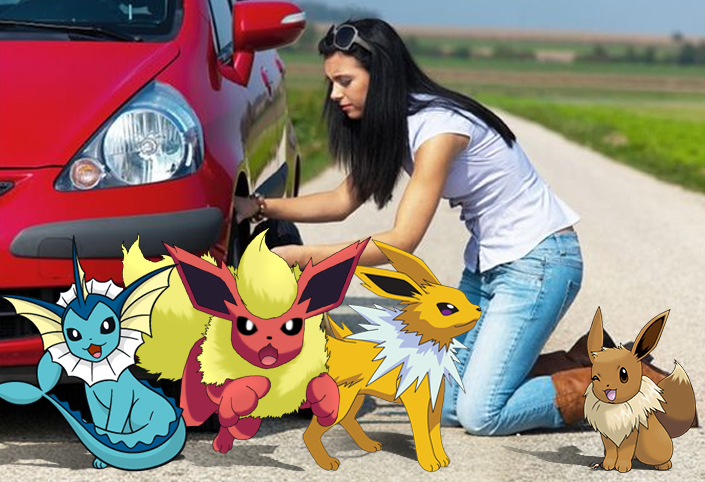 We left a few Pokemon off the list, some of which would clearly make worse passengers, but those I left are typically Pokemon that just look super dangerous. 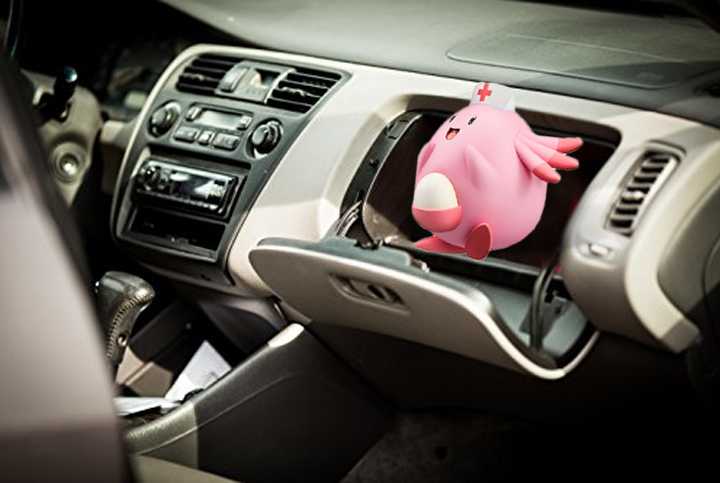 There’s no point of mentioning that Charizard or Gyrados or even Onyx are just not going to be very road-trip friendly, those guys are all huge and generally pretty angry. Could you imagine fitting one of these guys in your 2016 Dodge Journey? It’s a spacious vehicle, but let’s be realistic. Leave them in the Poke Balls where they belong. But not all Pokemon are bad companions. Some would make great road trip buddies. On the surface, Evee, besides being completely adorable, is not exactly the type of Pokemon you’d think would make a great partner on your way to Banff. But let’s think about that for a second. She can ride on your lap as you drive, she can stick her head out the window and get a good lean on, something which I imagine Evee’s would enjoy. But more importantly, when the time comes, Evee’s evolved forms, Vaporion, Jolteon, and Flarion, while not quite as cute, can serve a variety of purposes. Vaporion can offer water if you run out, Jolteon can help with a boost, and Flarion… well, she shoots fire, so that’s got to be handy somewhere. Just a pretty little thing, Pigdey is also highly functional. 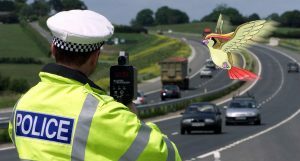 Not only can she fly ahead and alert you of incoming police traps and radar guns, she can also act as a quicker, and frankly more reliable version of GPS, especially with traffic and detours. Also, she would look just adorable sleeping away on the passenger seat. There’s a running theme here with cuteness. Chancy is pretty sweet, but she also serves a purpose. No, it’s not an endless supply of weirdly delicious Chancy eggs. Chancy has the ability to heal, which whether you like it or not, is something that is pretty dang valuable. Even if you just hit your head on your door frame on the way into your car, (Something I’ve never done… I swear) Chancy is someone you want around. Just in case. A little less obvious on the cuteness, but this muscle man does have his perks. Need to change a tire but don’t have a jack? Machamp is your man. Dropped your phone under your car and too lazy to bend down and pick it up? He’s got you covered. Simply want someone to be able to pass you a drink, a snack, a hot towel, and give you a back rub? Well, old four arms here is your boy. 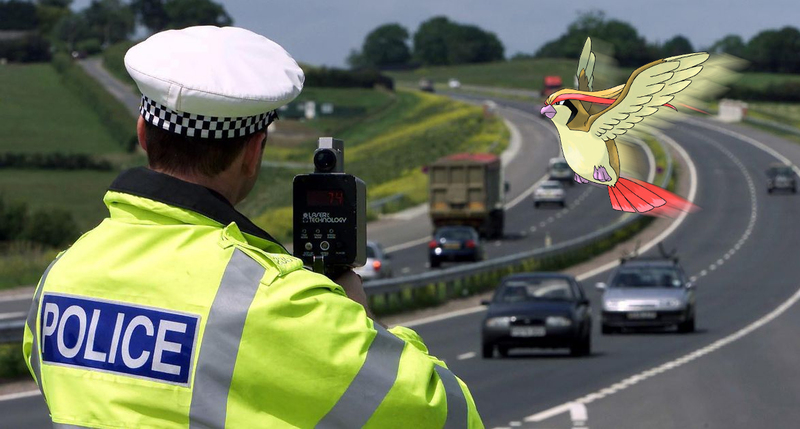 Also, I imagine you’ll have an easy time dispatching road ragers, if that’s what you’re into. 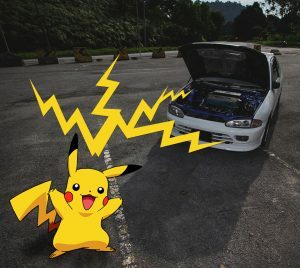 We all know of Pikachu’s greatness. He’s the face of Pokemon, Ash’s trusted companion, and frankly just a little yellow ball of adorable cuteness. Just look at him, he’s even cute when he’s angry. And while, I’ll admit, Pikachu being #1 is mostly because I have a strong love for them as Pokemon, they also have their practical uses. If you break down or your battery dies, Pikachu can just fire it right back up no problem. He’s a loyal little guy (or girl), that will never let you down, and will probably provide you with some great conversation, despite only being able to say his own name.